Today is officially the last day of the Digit-al Dozen Does First Blog Posts. I have really liked this week, even though it has been a little scary looking back at some of the manis I have done over the years. There has definitely been some really good manis and some really terrible manis. How some of them made it online I will have no idea (well I do know I posted them but why I did is a whole other question). I may need to consider doing some more throwback recreations at some point in the future. What do you think about that? Anyway, today's 31DC2018 mani is flowers. My first flower mani was one that I did using a dotting tool. Honestly, I don't love the original mani (although I do like the colours better than today's version) and I don't love today's mani either. I really wish I could have had a prettier mani for today but then that really would be completely cheating as it isn't my first flower mani. For this mani I used Emily de Molly Bright Retreat, OPI A Grape Fit!, Sailing & Nailing, I'm Getting A Tan-gerine and Towel Me About It. This first mani was originally posted on Instagram on 22nd April 2013. 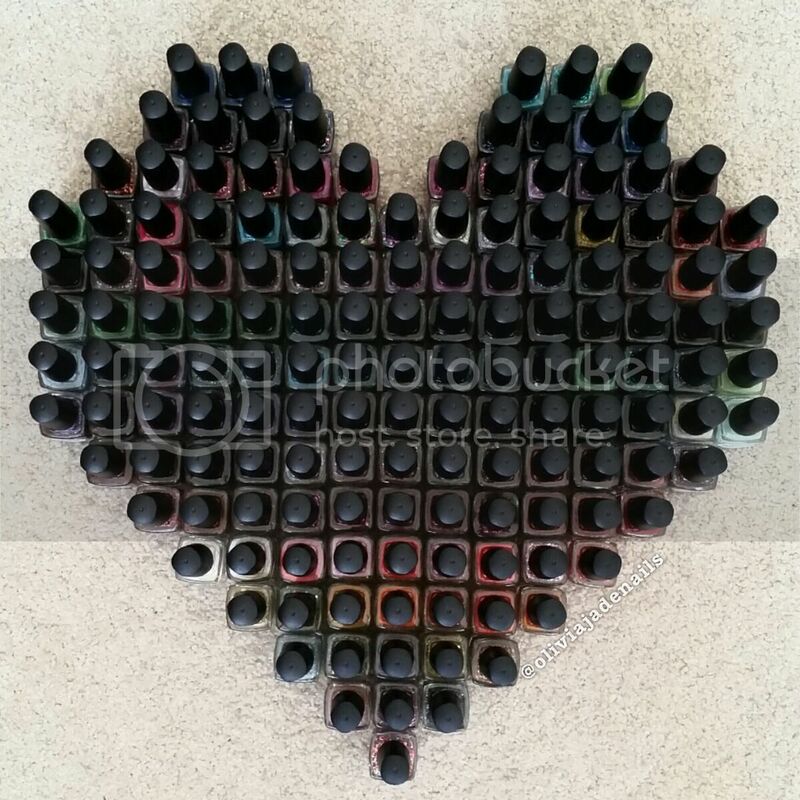 I hope you have enjoyed these little throwback to some of the manis I did back in 2013. Make sure you check out the final manis from all of the lovely Digit-al Dozen girls. The 31DC2018 will continue on tomorrow. 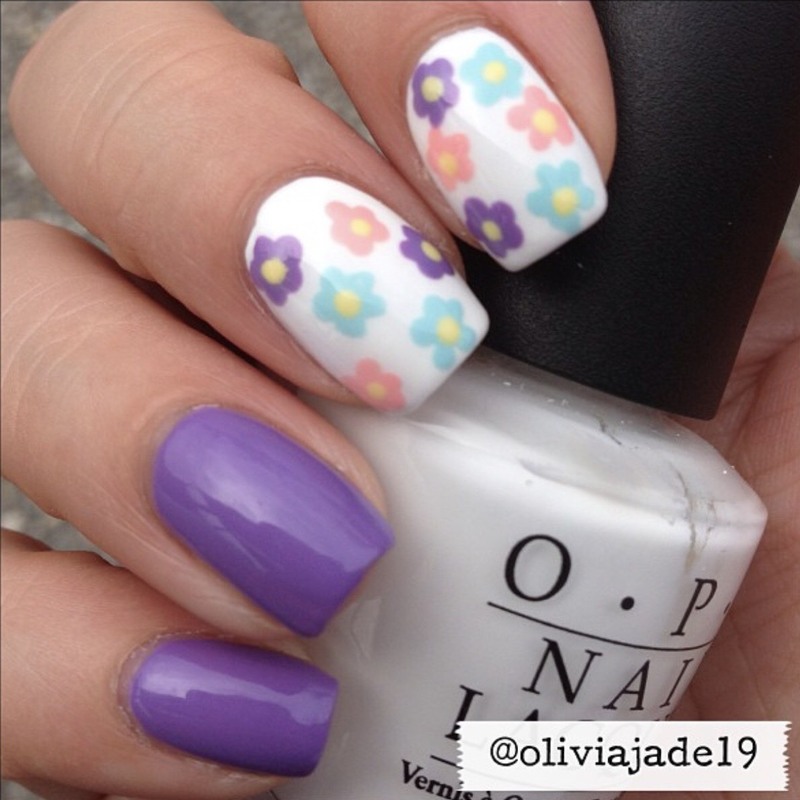 Be sure to check out the other floral manis. It's a big yes from me about doing more throwbacks! I love the idea and I might have to do a few too *shudder*. I love your flowers. I think they're so adorable and I actually really struggle with the dotting tool flower. I can never get it as pretty as yours. I also love the colours. You should! It's really fun going back and revisiting some of the originals. It's also a little scary....especially when you can't recreate them.